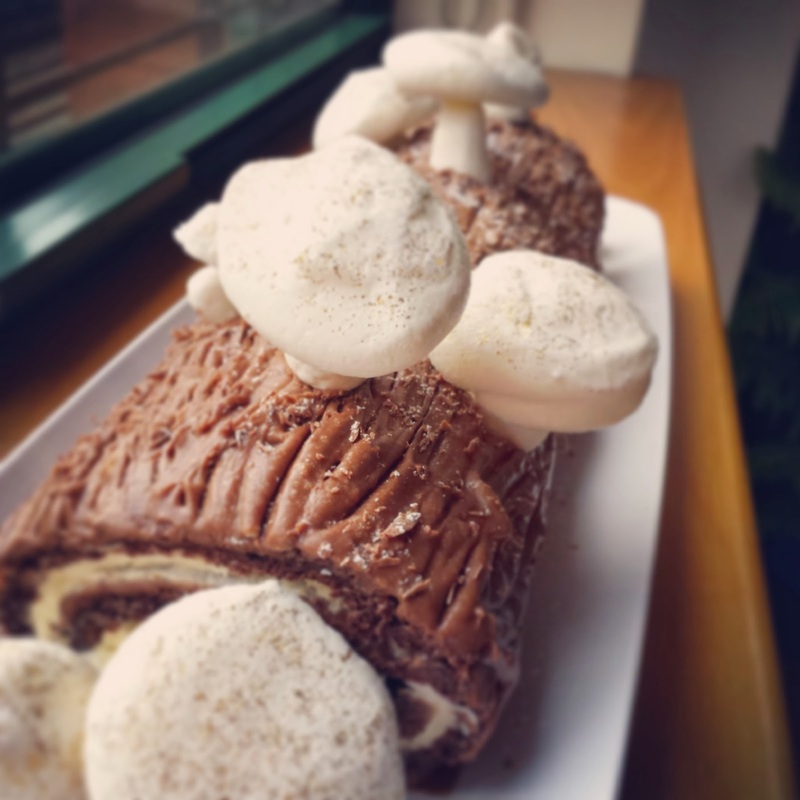 This year, there were suggestions for a Christmas log, so it had to be done! 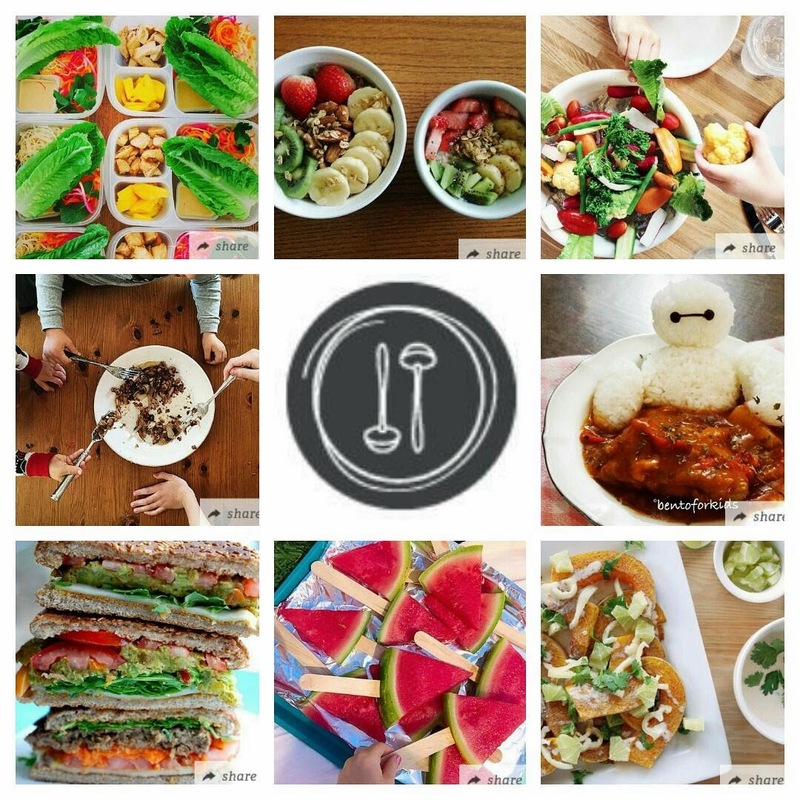 After perusing about twenty recipes online (there are so many variations! ), it took some time to make sense of it all. I like looking at the British/ European recipes because they don't use too much sugar and the American ones for ease. After putting it all together and adjusting as I was making this, here is what I came up with. Using an electric beater is definitely handy, or else it will take a long time and be quite a workout! Make the meringue mushrooms a day ahead if possible, as there are so many steps involved in making this cake, that you may want to break up the work. Line a large jelly / swiss roll pan with parchment paper, extending over on all sides. Make sure to crease the folds and corners well for a good fit. In a large bowl, beat the egg whites until stiff. Then spoonful, by spoonful, beat in the granulated sugar. This should take about 10 minutes, so be patient. Beat on a high speed for the last minute or so. In a second bowl, beat the egg yolks with the turbinado sugar. Beat until paler in color and thick. Lightly beat in the almond flour, cocoa powder and vanilla. Using a metal spoon, spoonful by spoonful, gently fold in the sweet egg whites. Take your time, and do not stir too hard or all the air bubbles will pop. Spread out evenly onto the lined pan. Bake for 12-15 minutes, until toothpick or cake tester comes out clean. In the meantime, prepare the FILLING by whipping the cream until stiff. Then, gradually beat in/ stir the icing sugar and vanilla. Refrigerate. On another sheet of parchment paper, sprinkle generously with icing sugar. After taking the pan out of the oven, carefully lift out the cake and turn it upside down onto the icing sugar parchment. Keeping the sponge cake sandwiched between both pieces of parchment, cover with a tea towel and roll it all up together to cool. Let cool for 30 minutes. Prepare the FROSTING by melting the chopped up chocolate in a heatproof bowl (or measuring jug), that is submerged in about an inch of water. Bring the water to a boil. Stir the chocolate the entire time and once melted, remove from heat and let cool. It doesn't take long, and the water "bath" may not even reach boiling point. Set aside and mix the butter and icing sugar together. Gradually add the slightly cooled chocolate and blend until smooth. When ready to assemble, unroll the sponge, remove the towel and carefully remove both pieces of parchment paper. Evenly spread the sweet whipped cream on top of the sponge, don't forget to go all the way to the edges! Then re-roll the entire sponge. Place on top of a board or serving dish with the seam-side down. Spread the frosting on evenly. Use a fork to etch in a bark-like texture, running the tines down in one direction. Cut off a bit off the ends to clean-up the edges, sprinkle with icing sugar for a snowy effect.